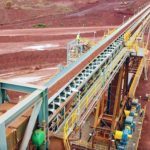 Fortescue Metals Group has launched a trial of autonomous light vehicles at its Christmas Creek iron ore mine in the Pilbara, Western Australia. 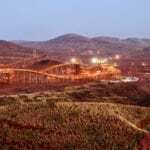 The iron ore major yesterday reinforced its commitment to automation, announcing it would also establish a research and development centre based in Karratha, Western Australia, to develop, test and trial autonomous technology. Fortescue already has 109 autonomous haulage system (AHS) trucks in operation across its sites, according to a March company presentation. The company announced it was converting 100 haul trucks at its Chichester Hub – comprising the Christmas Creek and Cloubreak sites – in April 2018. 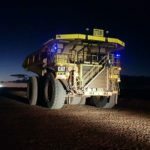 “We are at the forefront of this technology with our mine operations set to become the first in the world to be fully autonomous and our fleet having safely travelled over 26 million kilometres since the first autonomous truck was introduced in 2012,” Fortescue chief executive Elizabeth Gaines said. “We are now building on our autonomous capability with the commencement of an autonomous light vehicle trial, at our Christmas Creek mine. Fortescue, in partnership with the City of Karratha and technology and research partners, will explore opportunities for the application of autonomous mobility technology in an urban environment. The collaboration will also explore all facets of the future of mobility including software, hardware and various forms of mobility solutions. 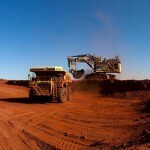 The University of Technology Sydney will be the leading research provider to Fortescue’s work in autonomous technology. “It was exciting to see another innovative new project commence in the City of Karratha,” City of Karratha mayor Peter Long said. “The city has invested millions of dollars into key infrastructure and amenity upgrades to activate our city centre and provide enhanced facilities and services to our residential and business communities as we strive towards our vision of becoming Australia’s most liveable regional city.